The North Jakarta and Seribu Islands Vehicle Taxes (PKB) and Vehicle Ownership Transfer Fees (BBNKB) has recorded that as of 2018 it had collected Rp 1.471 trillion or 100.64 percent in tax revenue about 1.462 trillion of last year ’s target.
" 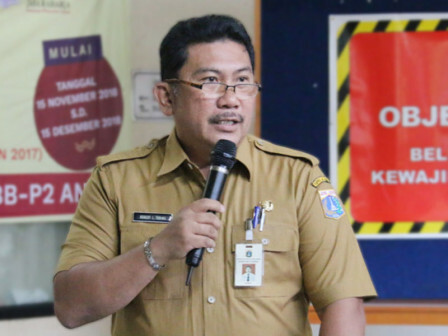 So this year similar action will also be intensified to achieve our target"
Robert Lumbuan Tobing, Head of North Jakarta and Seribu Islands PKB and BBNKB stated that the target was achieved after intensifying door to door spot billing and tax raid. "Surely this raid should be supported by a law enforcement," he expressed, Saturday (1/5). Through door to door spot billing, Rp 1.8 billion was successfully collected by the end of last year. As for the BBNKB, around Rp 964 billion or 104.09 percent of the target by Rp 926 billion could be achieved. "So this year similar action will also be intensified to achieve our target," he stressed.